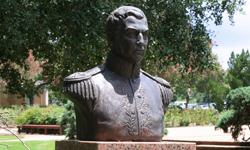 Located in the International Sculpture Garden, the bronze bust of Jose de San Martin rests on a granite pedestal. It was acquired by the City of Houston in 1983. The artist is listed as Pedro Buigues. 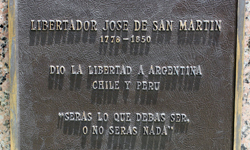 General Jose Francisco de San Martin was instrumental in liberating the southern part of South America from Spain in the early Nineteenth Century, and is considered a national hero in Argentina, his native land.